The Husqvarna PZ Series represents the latest in high performance drive systems and operator interface. 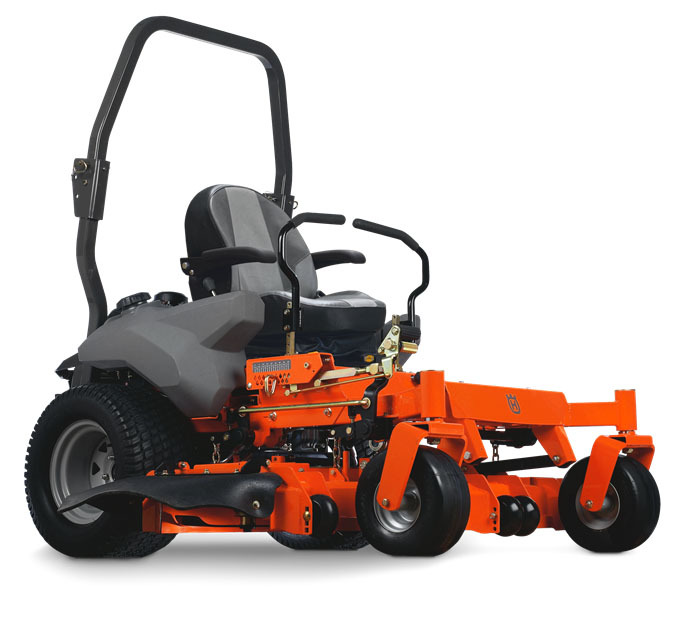 Combined with high productivity cutting deck designs, these mowers deliver premium cut quality and clipping dispersal at higher ground speeds. Careful consideration of components and design not only provide extended durability but unprecedented ease of service access. HIGH-PERFORMANCE CUTTING DECK: The combination of 6 in. deck depth, high-performance blades and optimized deck baffles allows for exceptional cut quality and clipping dispersal. This gives you faster cutting speeds for increased productivity while minimizing missed grass or clumps. 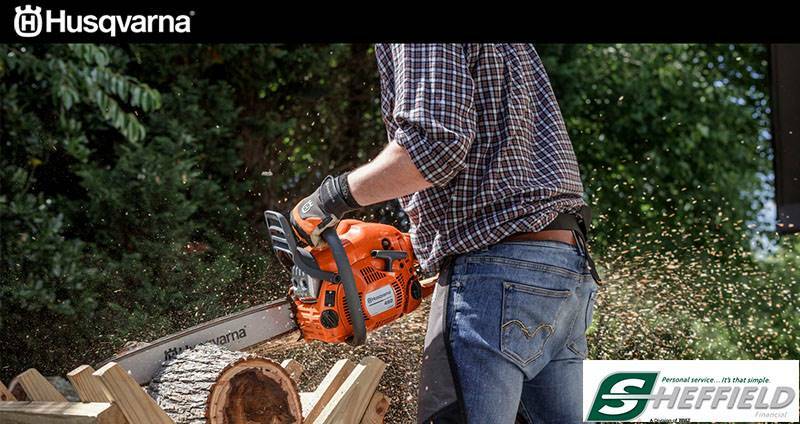 HEAVY-DUTY CONSTRUCTION: The heart of the cutting deck is 7-gauge steel with a rolled front edge. HANDS-FREE DECK LIFT: The robust, pedal-operated deck lift system allows quick, hands-free operation. COMMERCIAL DUTY CHASSIS: The chassis is constructed of 2 x 3 in. steel tube with 11 gauge wall thickness for superior strength and durability. The open design also allows for more convenient servicing and reduced debris buildup. HYDRO DRIVE SYSTEM: The standard drive system features Hydro-Gear pumps and Parker wheel motors. FLAT-FREE CASTERS: Durable steel front caster yokes feature heavy-duty tapered roller bearings and flat-free tires. HEAVY-DUTY CANISTER AIR FILTER: The heavy-duty canister air filter provides maximum protection for the engine in tough mowing conditions. ADJUSTABLE STEERING LEVERS: Steering levers are adjustable for different size operators - ergonomically angled inward for more comfort and can be adjusted to suit your particular style. STABLE RIDE: Low center of gravity and wide stance ensure exceptional stability and riding comfort. Wide tires reduce grass compaction. VIBRATION-ISOLATED PLATFORM: Rubber isolators set your hands, body and feet apart from the frame, which means less fatigue during operation. PREMIUM SUSPENSION SEAT: Deep cushions and EVC (elastomeric vibration control) provide unsurpassed comfort for the operator. Additional full suspension system gives a smoother ride on rough terrain during long working hours. LARGE FUEL CAPACITY: 11.4 gallons (Dual 5.7 gallon tanks) for up to 12 hours of mowing time. Large 3.5 inch diameter refill tube for easy refueling. COMMERCIAL-GRADE ENGINE: The Kawasaki V-twin is an overhead valve engine with full pressure lubrication and spin-on oil filter. It combines exceptional power and torque with fuel efficiency and reduced emissions. Hydraulic reservoir - 6 qt. ROPS Down - 47.5 in. ROPS Up - 72 in. Chute Down - 68 in. Chute Up - 55.5 in. Clutch rating - 250 ft. lb.